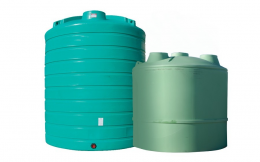 Vertical tanks offer the most stability for storage, thanks to their design which provides more even distribution of pressure. They’re especially beneficial if you have limited space to work with due to their small footprint. 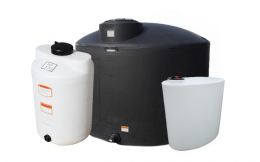 The poly tanks that we carry at Flaman, with models designed for fertilizer, water, or chemical storage, are light, corrosion and rust free and easily absorb impact to limit damage, making them a durable and long-lasting solution to meet your needs. Our vertical upright tanks range in capacity from 25 gallons to 1750 gallons and feature tie down slots, built in graduated gallon indicators, slosh proof lids and offset fill openings for ease of use. 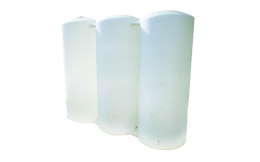 Also available at Flaman are vertical fertilizer tanks, including the 30,000 gallon fiberglass tank from Polywest; a high quality, cost-effective option for your liquid fertilizer thanks to its composite 4-layer fiberglass design and long life span. 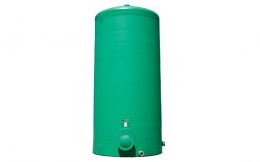 If you’re looking for something more suitable for household water storage, a vertical lob tank may be the right choice for you. Great for water storage and conditioning, the lobe tanks we sell are BPA free and have chemical resistant properties. Invest in tried and true storage solutions from Flaman. Our team of sales experts are happy to assist you find the right product for your farming operation. Visit your nearest of 9 dealerships located across Western Canada to speak with our staff and learn more about all the products and services Flaman has to offer.